Land Rover introduced the Range Rover in 1970 revolutionizing the 4×4 industry for years to come. In an era of rugged Jeeps, Land Cruisers and Land Rovers, the Range Rover was the first luxury 4×4. With a V8 engine, a sophisticated carpeted interior, air conditioning and an incredibly smooth suspension the Range Rover was in a class of its own. In subsequent years the Range Rover became ever more sophisticated with optional leather, automatic transmission, ABS, air suspension and other refinements, but essentially kept the same frame, engine and body platform. Not until 25 years later, in 1995, did the “Range Rover” brand evolve into an all-new vehicle. By then the original Range Rover had truly become exemplar and the Range Rover Classic label was born. Will it hold? On the way to Rio Azul Archeological site. 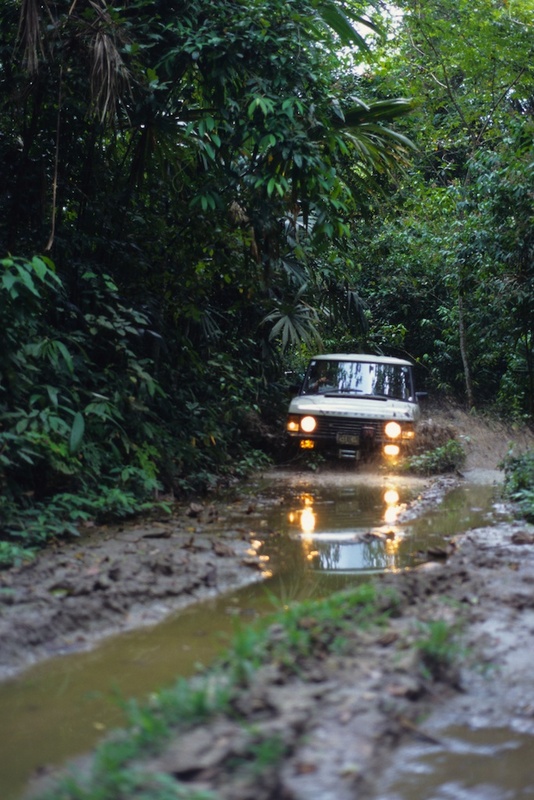 Since its creation in 1970 the Range Rover has been used in countless expeditions and adventures. 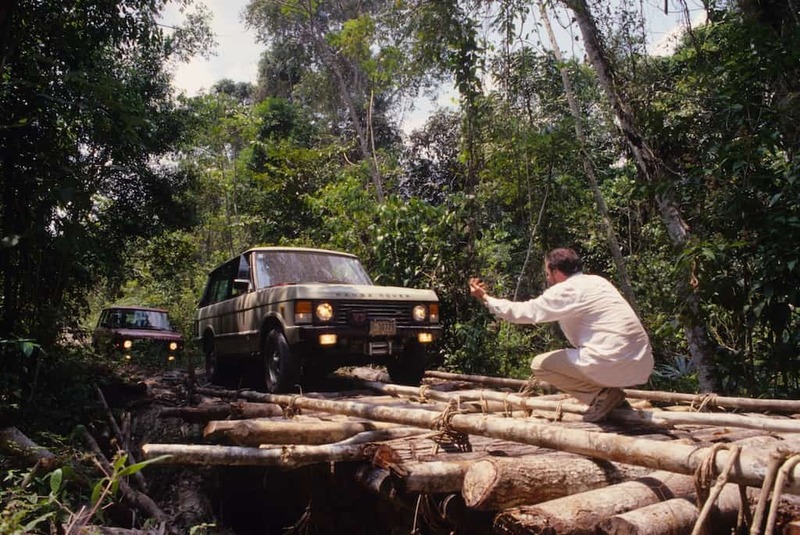 The crossing of the impassable Darien Gap in Panama and Colombia by two British Army Range Rovers in 1972 demonstrated the true capabilities of these trucks as rugged 4x4s. 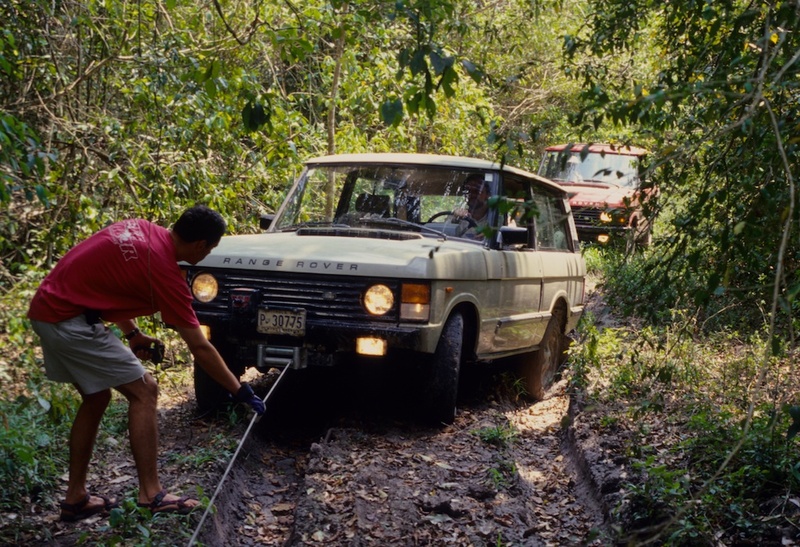 Starting in the 1990s, however, mainly because of its gas guzzling tendencies causing cost and autonomy challenges, the Range Rover Classic fell behind in an expanding expedition/overlanding market. Today Range Rover Classics are abundant on the auto market and are virtually worthless. That makes the Classic an extremely inexpensive option. Unfortunately the great majorities are in terrible shape and simply not worth the investment and effort to be restored. A low mileage, well-kept Classic is extremely difficult to find and should be considered a gem! The later Classics had ABS, air suspension and other ‘gadgets’ that may be better skipped if possible, as these added electronics created notorious and costly reliability problems. Even by today’s standards the Classic is an incredibly comfortable, spacious truck with incomparable outside visibility. It will take you in true gentleman fashion where many other modern 4x4s would not dare. It is also a modest, yet sophisticated vehicle that commands respect in most parts of the world. 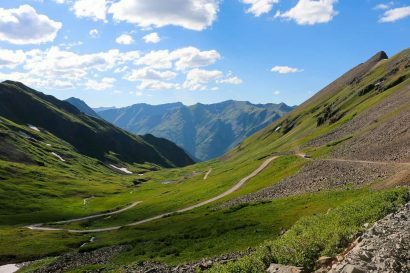 Additionally, the car’s probability of being stolen is virtually nil – something to consider while travelling in countries where newer Japanese 4x4s are hot currency for car thieves or road bandits (i.e. most of the developing world!). Finally, the technology behind the Classic’s mechanics is relatively uncomplicated allowing for “do-it-yourself” repairs on the side of the road if required. Ready to go on deeper into the bush! Packing up after a night at Uaxactun archeological site. 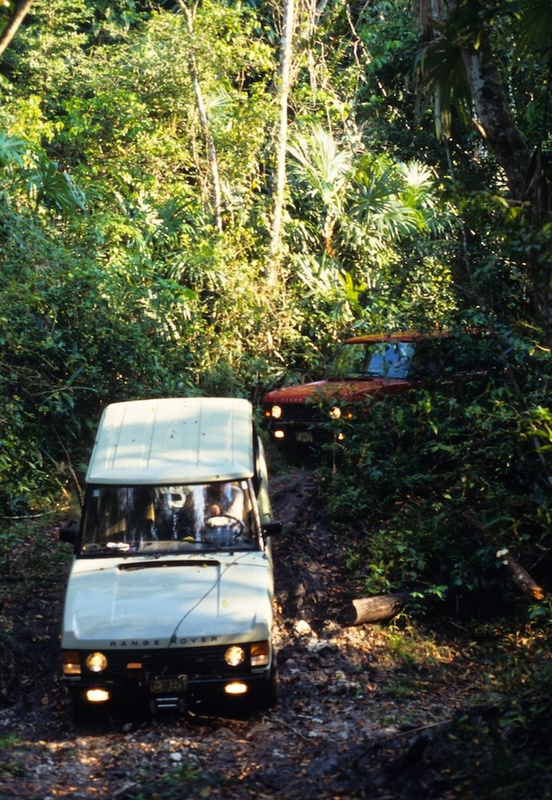 Using two beautifully kept Classics, we tested the Rover’s capabilities on some of the worst jungle trails to be found through the Petén Biosphere Preserve rainforests of Belize and northern Guatemala. It is worthy to note that the expedition was conducted with absolutely no modifications to the stock trucks. The only alteration being an 8000lbs. Warn winch mounted on the front of one of the vehicles. Both trucks even retained their standard issued Michelin road tires! A 1980, 2-doors, 3.5 Liters V8, manual transmission, Sand colored, Euro version (the classic of the Classic). A 1990, 4-doors, 3.9 Liters V8, automatic transmission, Red colored, North American version. The Sand Colored car was the one equipped with a winch. Needless to say our only non-standard piece of equipment worked hard for most of the journey! Dry riverbed crossing, lucky for us! 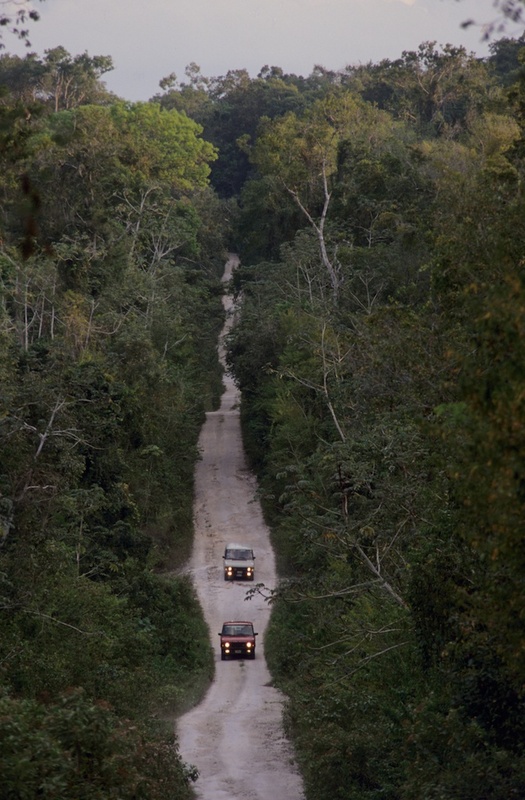 We drove the two cars on old logging roads through the jungle and discovered some of the most pristine rainforest wilderness north of the Amazon basin. 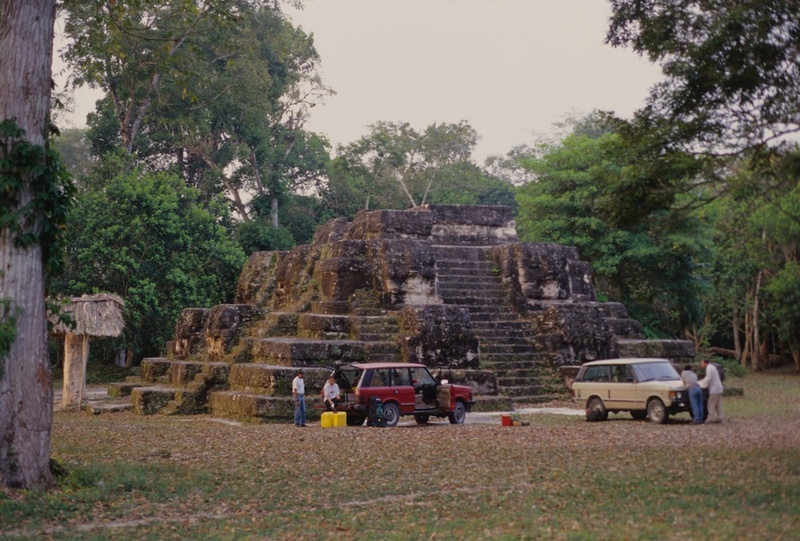 Adding to the beauty, our route was dotted with ancient Mayan archeological sites still buried deep under the canopy. The adventure took place in the dry month of July so that the jungle tracks were at all passable and the insects were not as assailing. Even in the dry season we encountered numerous submerged areas of track. The winch is the single most indispensable accessory (and the only one we brought!). After completing our incredible 4 days and 3 nights tour we can mostly praise these exceptional trucks for having performed dutifully through the rugged jungle. Besides getting stuck in the mud and bottoming out in giant dried tire ruts made by logging equipment numerous times, a broken rear view mirror and a cracked front spoiler were the only two “incidents” we experienced. The car has the reputation of being underpowered and the engine’s cooling system under-engineered. With all the difficulties of the track, the V8s performed beautifully in low gear and were never limited in passing capability, even with the automatic transmission. Overheating was not an issue either, even though we operated in the tropical hot climate of the lowland rainforests of Central America. Back on the black top the 2-door did underperform and was in bad need of a 5th gear/overdrive. When required, the V8s performed beautifully. The main complaint remains the fuel consumption leading to very limited autonomy. Our whole trip from service station to service station was a loop totaling 400kms (150kms of black top, plus 250kms of jungle track). We brought along 60 gallons of fuel (the trucks’ filled tanks and 4 jerry cans). We used it all barely making it back! 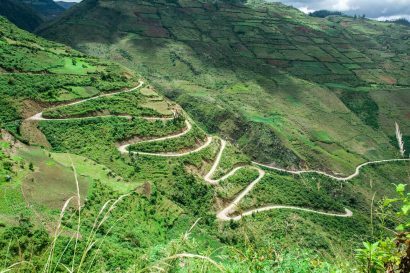 That accounts for an average of 13.3kms/gallon or 8.3miles/gallon.Such poor performance greatly hinders the Classics’ capabilities in non-assisted long distance travel in isolated locals, i.e., the American west or the Brazilian rainforest or the tundra of central Asia. On our way back to Tikal archeological site. The Range Rover Classic could certainly be used as a platform for the building of a modern overlanding vehicle. 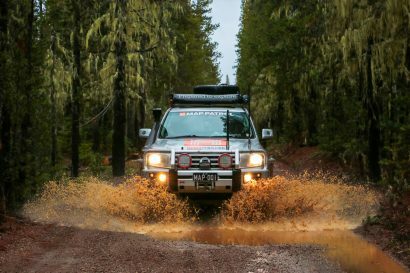 An adequately equipped Classic with modified suspension, a winch and increased autonomy (fitting a Land Rover Tdi or Td5 diesel engine has been done) would surely be an expedition vehicle to reckon with. 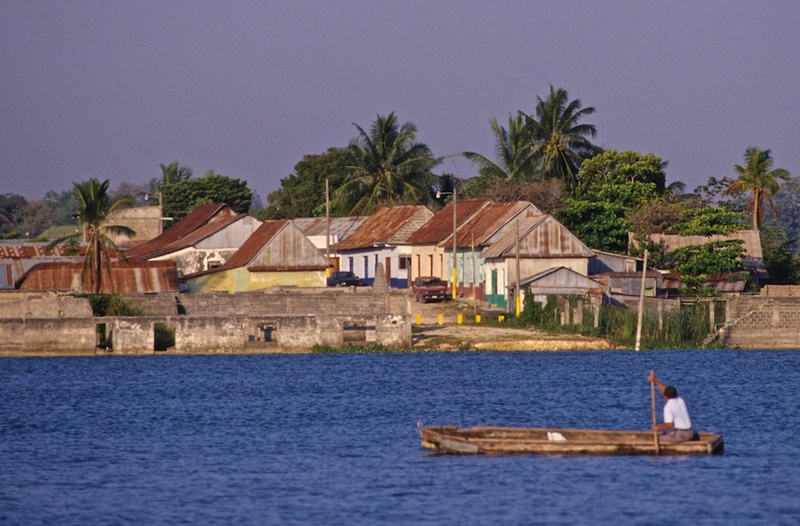 A well deserved rest for the Classics in the frontier town of Santa Elena on the shores of Lago Peten Itza. Peten Itza.